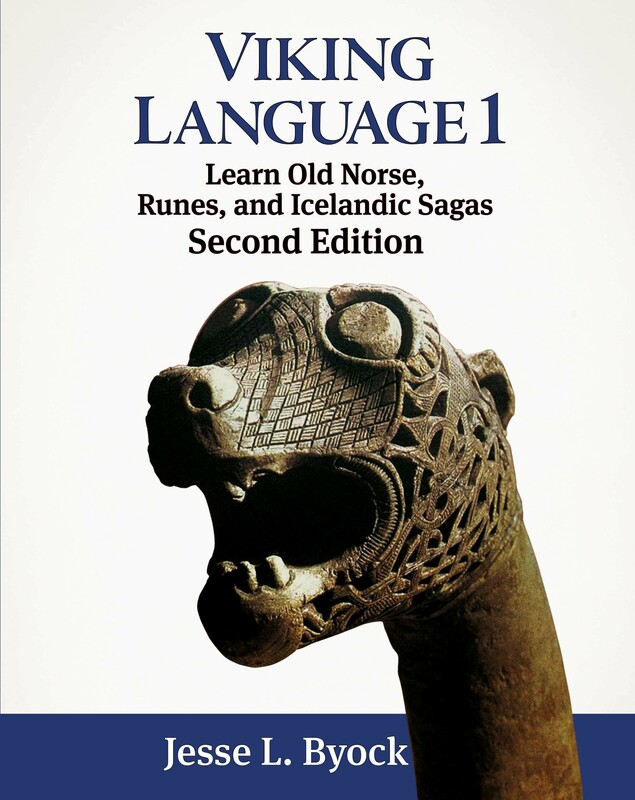 Recounting tales of Vikings, Iceland, and the myths of old Scandinavia, these pronunciation lessons are an indispensable resource for learning pronunciation and vocabulary, as well as language comprehension and the flow of Old Norse. Sentences are divided into phrases that the learner can pause and repeat at will. The audio passages are spoken by native Icelander Ása Bjarnadóttir with introductions by Jesse Byock. The pronunciation is adjusted for Old Norse and follows modern Icelandic usage. Pronounce Old Norse, Runes and Icelandic Sagas. 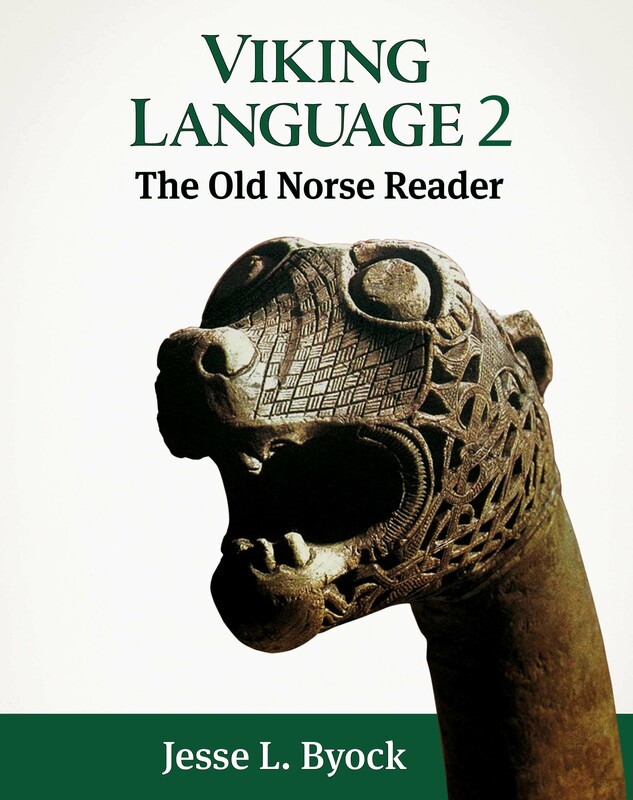 Below are sample Old Norse readings (1.3 and 3.2) and introductionary tracks with background information from the new Viking Language 1 audio albums. Check out the runes below in Lesson 3.2 King Gorm's Jelling Runestone and listen to how the pronunciation drills work. 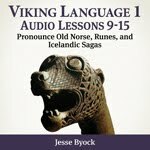 Open Viking Language 1 and read along with the pronunciation passages in the audio albums. The numbers of the audio tracks and the readings passages in the book correspond. hann var frændi Ingólfs landnámsmanns. Ingólfr gaf Herjólfi land á milli Vágs ok Reykjaness. Herjólfr bjó fyrst á Drepstokki.